It should come as no surprise that summertime is Barcelona’s busiest season. With the Mediterranean waves crashing onto the sunny Barceloneta beach, Barcelona summers are known to attract tourists from far and wide traveling to the city in search of a memorable vacation. But the weather is not the only desirable element of a break in the city during this season; each year Barcelona comes alive with a vast array of festivals and celebrations throughout the entire summer. From all-night music fiestas to religious commemorations, there is something for everyone planning to visit the Catalan capital in June, July and August! 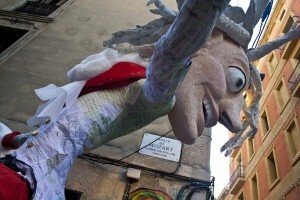 Check out a few of the upcoming events this summer in Barcelona! Looking for an electronic music festival where you can really rock out? Barcelona’s 19th International Festival of Advanced Music and New Media Art (AKA Sonar Festival) has become one of Europe’s premier electronic music and audiovisual art festivals. This year the lineup features artists such as deadmau5, Pretty Lights, and Fatboy Slim, so you know it’s going to be good! The DJs start spinning on Thursday June 14th pumping out the tunes all day AND all night until June 16th. And for those of you who want to enjoy the visual arts aspect of the festival, Sonar offers a taste of new-age electronic styles within cultural film, showcasing various pieces at the daytime locations. Ticket prices for the Sonar Festival vary between 39€ and 155€, but check out the website for Sonar Festival 2012 in Barcelona for a full list of artists, ticket information, and more! WHERE: All throughout Barcelona in bars, nightclubs and city streets. On the night of June 23rd, the city skies come alive with fireworks illuminating the open air in honor of Sant Joan (Saint John) and the summer solstice, marking the day with the most sunlight in Barcelona. In ancient times, the summer solstice was considered an important event, andfire was celebrated as a symbol of abundance, purity and fertility. To this day, the central element of the festival remains to be fire and fireworks. 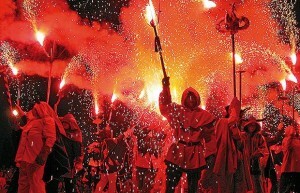 Traditionally, the night begins with the lighting of the flame of Canigó, which is a holy mountain peak in the Pyrenees Mountains. 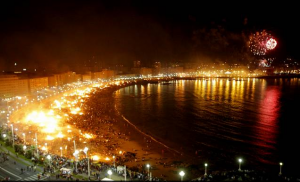 From there, the flame spreads down to bonfires, fire pits, and candles throughout the Catalonian regions. Many people take part in fire-jumping, the burning of old possessions, and writing notes with their wishes for the year and placing them into the flames. Of course, the nightlife in Barcelona comes alive (even more than usual) for this special event, with bars and clubs across the city hosting parties and Sant Joan-related celebrations..
WHAT: A giant 5-day music festival, showcasing artists from around the world. Are you always looking for the next best artist to hit the stage? Love new sounds and crave the excitement of a true music festival? 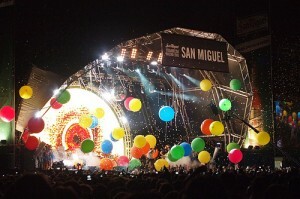 If so, then an absolute must for you is the San Miguel Primavera Sound Festival in Barcelona. Known for its eclectic group of artists and international bands, Primavera Sound brings together music of all genres in two sunny locations. Some of the most notable performers in the lineup this year include The Cure, Death Cab for Cutie and Franz Ferdinand. The festival will begin on May 30thand will last for 5 days, stretching across two different venues. Concert-goers can purchase tickets to last the entire duration of the event, or just day passes. Visit the official website of the Primavera Sound Festival 2012 for ticket pricing and a complete list of artists. 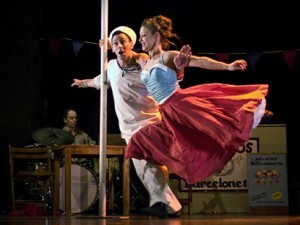 The Barcelona GREC festival, which had its first edition in 1976, makes for a fantastic family day out, with performances running throughout the entire month of July. Held annually, the event allows the city to become a showcase for some of the best stage arts ever seen, with the main performances taking place at the Teatre Grec, situated on the foothills of Montjuïc. The lineup features international acts, ensuring an eclectic mix of performers, sure to satisfy all age groups. Celebrating its 36th anniversary this year, GREC has chosen to demonstrate the agile art and strict discipline required in the entertainment field, and with plenty of acts centered around the ‘circus’ theme, this is set to be another unmissable year! Tickets for the GREC Festival go on sale in May, so watch this space for more information on pricing and individual acts. According to Christians around the world, August 15th was the day the Virgin Mary ascended into the heavens. In celebration of this holy event, the people of Spain (and all over the world), take part in a grand feast of assumption. Being one of the most well known public holidays in Spain, most locals take the day to celebrate and relax with their families. But, this day also marks the beginning of a week-long festival, where neighborhoods vie for the title of “best decorated street”. Our suggestion is to make your way down to the Festa Major de Gràcia, when this usually quiet town is transformed into a live stage for exuberant artists. The action kicks off with a parade that starts in Plaza Rius i Taulet, where giant carnival figures and the famous human towers, known as “castellers” fill the streets. If you’re coming to Barcelona this summer, you cannot miss out on these fantastic festivals and events. 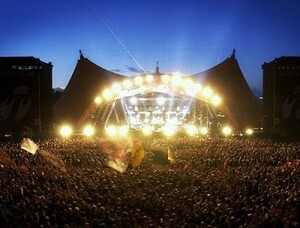 From musical madness to a frenzy of fireworks, you are sure to find a festival to suit your needs. Choose one of the many Barcelona apartments in Gràcia, near the beach or close to any of the other venues listed above for your stay in the Catalan capital this summer, and enjoy sun, sand and celebration! 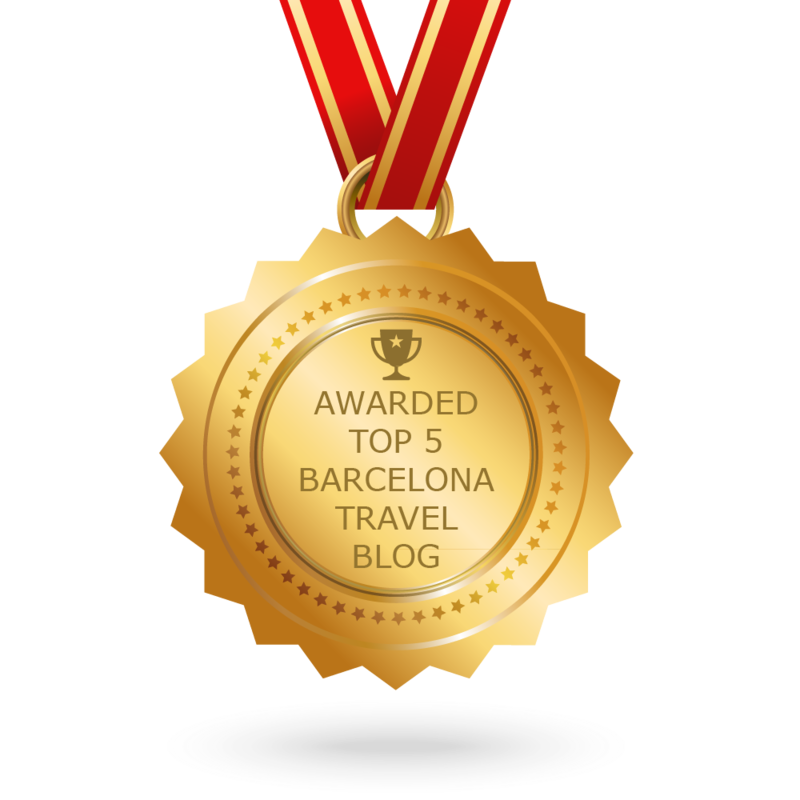 Next Article Wine Tours in Barcelona: Try Something Different!